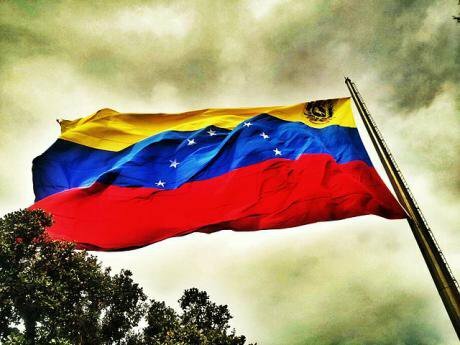 Following the publication of your article "What Venezuela tells us about Labour Party foreign policy" in OpenDemocracy UK this 30 September, the Embassy of the Bolivarian Republic of Venezuela would like to set out some statements, taking into account that the text exhibits informative manipulations that readers should be aware of. In the article, an induction exercise is carried out through which, starting from the description of specific situations, a profoundly negative conclusion about the Venezuelan reality is reached. But the country’s reality is never truly reflected by the chronicle of specific cases, but from the complexity that comes from a panoramic view. Otherwise, this exercise of induction can be carried out with any country in the world, and the same conclusion would be reached, even in Western Europe, where Welfare State was first developed. All nations have problems, and precisely because of this, a selective exercise of magnification of facts should not be made, just because the domestic policy needs of certain sectors of another country. This international phenomenon of "media selectivity" towards Venezuela is not new, having started since the first government of Comandante Chávez in 1999, and continues uninterrupted until today, although exacerbated in the last 3 years, precisely when the prices of oil, our main source of income, fell as much as 80%. Dysfunctional media attention on Venezuela contrasts with the lack of coverage of the internal realities of other countries, such as the US, where a systematic violation of first and second generation of human rights of its population takes place. The state powers of that country have alternated for decades between abandonment of its socioeconomic functions with policies clearly repressive and / or excluding. But a dense media network, devised by large corporate interests, aims to make this reality invisible to the majority of people. Curiously, the media establishment, composed, among others, of well-rewarded individualities, does not question the many countries or organisations of all kinds that maintain excellent foreign relations with the government and the state of the US. In your case, Mr. Canning, we, the Embassy, do not think your silence is due to ignorance of the internal situation of that country, but because you also exercise selective and dysfunctional attention, the reason why you are scandalised only when it comes to certain countries. So, if not showing a basic impartiality, your concern for Venezuela does not seem genuine to many. -The country has undergone a profound transformation in the last 19 years. If in 1999 a deeply unequal nation, in which the oil revenue was basically captured by the oligarchy, it has become a thriving democracy, with a government that responds to the popular, not corporate interests. Among the tangible achievements: elimination of illiteracy; creation of a free primary health care system; exponential increase in access to education at all levels; constitutional prohibition of privatising strategic industries, including PDVSA, our oil company; construction of large infrastructures, including 1,700,000 public housing, and expansion of the social security system, increasing by millions the number of pensioners. -These achievements have been maintained despite the fact that a drastic drop in oil income has been taking place since 2015, which in some periods has reached up to 80% of national income. Such a situation would have led to the implementation of a neoliberal adjustment program in other countries. Also, to the systematic violation of human rights as a result of the repression of dissenting social majorities, and obstacles to the democratic exercise of politics. None of these has happened in Venezuela. In fact, this 15 October regional elections will take place, in which opposition will participate; these are the number 22 elections in the country in the past 19 years. -In addition, the main military power in the world, in alliance with the most radical Venezuelan political and economic opposition, has implemented since 1999 a plan of destabilisation similar to that applied to Salvador Allende in 1973, accentuated in parallel to the fall of our principal source of income. The sabotage in the distribution of basic consumer goods by the private monopolies is the essential element of this plan, accompanied by a permanent campaign by the national and international private media, blaming the Bolivarian Government for being the cause of the shortages. -Since the beginning of 2015 the threats against the sovereignty and independence of Venezuela have been unending. In March of that year, an Executive Order of the then President Barack Obama described Venezuela as "an unusual and extraordinary threat" for the US. Since then and to date, countless official spokesmen of that country, primarily military, have issued warnings and threats to the Venezuelan Government. Most recently, on August 11, President Trump publicly threatened to intervene militarily in Venezuela, and on the 25th of that month he approved financial sanctions against the country, which will seriously affect the economy and the entire population. Mr. Canning, today Venezuela as a nation does not obey the interests of private corporations, nor does it accept international pressure or interference in its internal affairs, through foreign governments or media campaigns. In the midst of the complex situation we face, threatened by the American industrial military apparatus and with the complicity of its internal collaborators, what our country least needs is to become -with yours and others help-, a cliché to which third parties turn for political gain.